On Tuesday 26th March, Year 4 attended the skipping festival at Oxclose Academy. 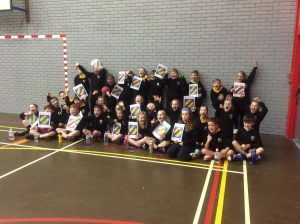 They competed against 5 different schools in various skipping techniques including double bounce, speed bounce and pretzel! 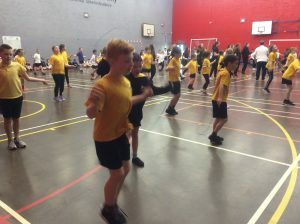 They also performed their amazing skip dance routine. 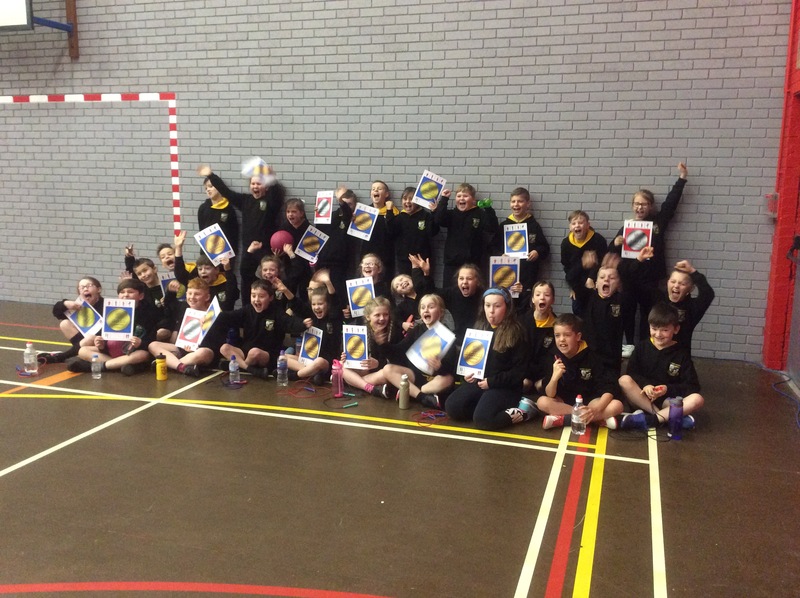 It was a fantastic team effort and they were announced the winners after earning the most points. We are super proud of how hard they have worked and they will now be taking place in the finals on Tuesday 21st May. Take a look at them in action below! This week has been super busy in Year 4! On Monday, we had our school trip to York! 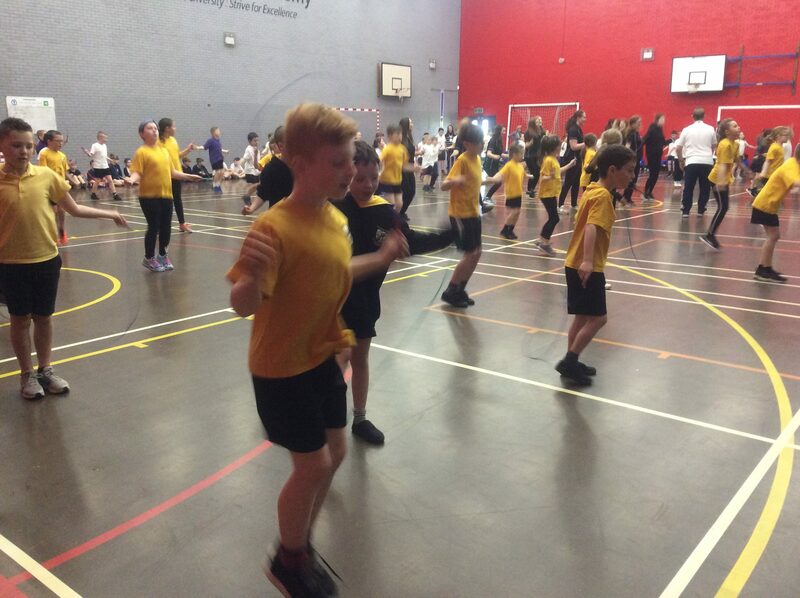 When we arrived, we had a busy day completing three different activities. 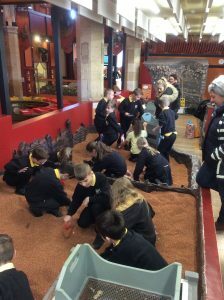 To begin the day, we visited the DIG museum where we excavated artefacts from the Viking Age and took part in a workshop to learn all about Viking weapons and battle tactics. Then, we visited the YORVICK centre where we went on the interactive ride to experience life in the Viking age. This week has also been Engineering Week in school. On Tuesday, we had a visit from Nissan Engineers, who told us all about their jobs and how they became an engineer. 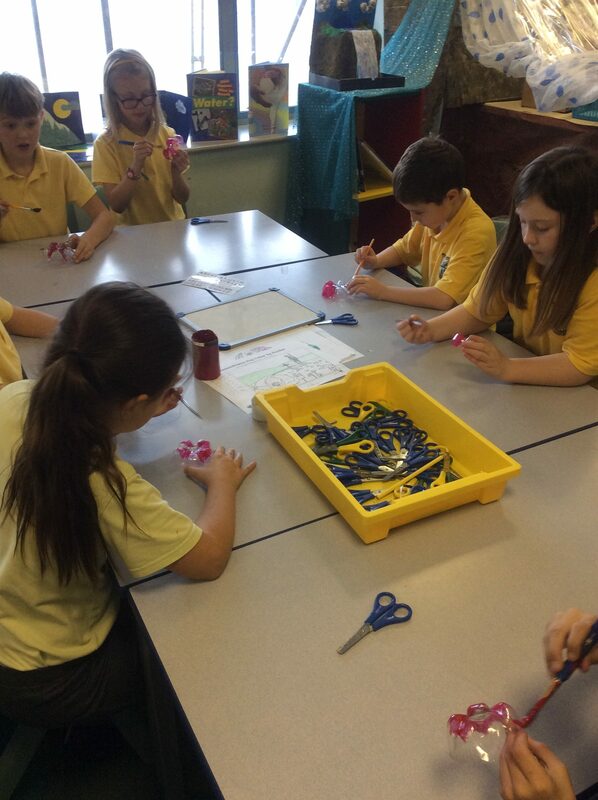 We then began to create our own inventions, after being asked ‘What would you do if you were an Engineer?’. There are lots of fantastic creations and all of the children’s work will be entered into the competition. 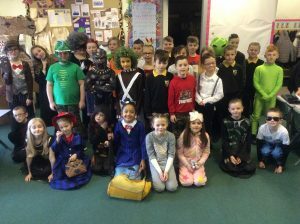 On Monday, we celebrated World Book Day in school. The storyteller Chris Bostock visited school and told Year 4 some fantastic stories. Back in class, we used this as inspiration to write our own stories. 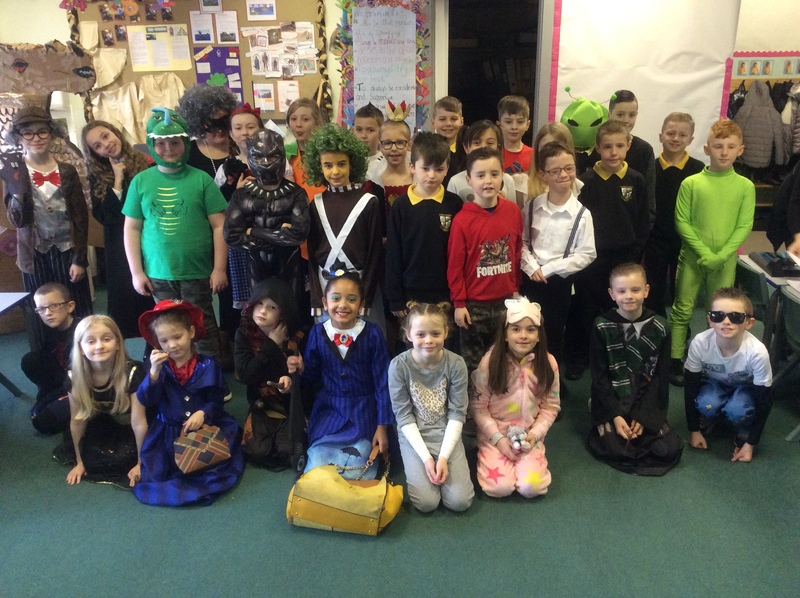 It was great to see the amazing book character costumes as well, take a look at us all dressed up below. 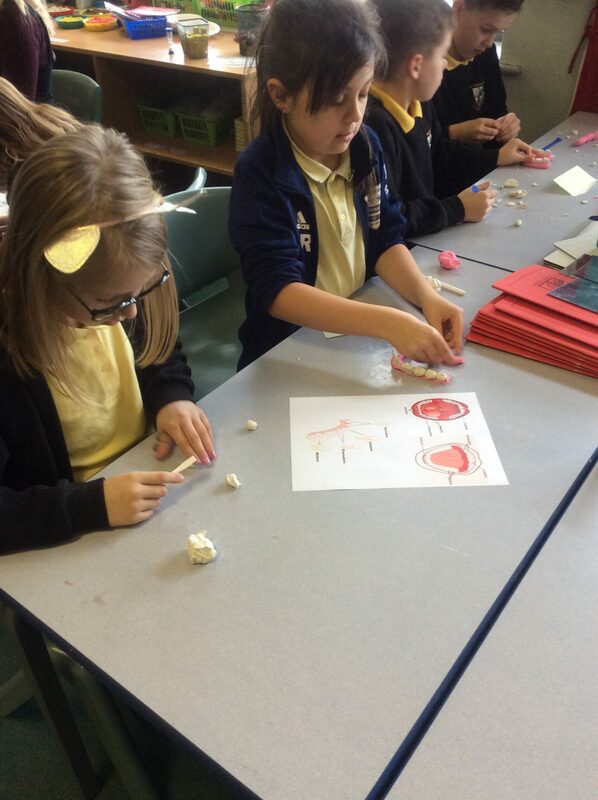 On Friday, in our science lesson we were learning all about the different types of teeth. To show our understand of the shapes and functions of the different types of teeth, we created our own teeth models out of modelling clay. 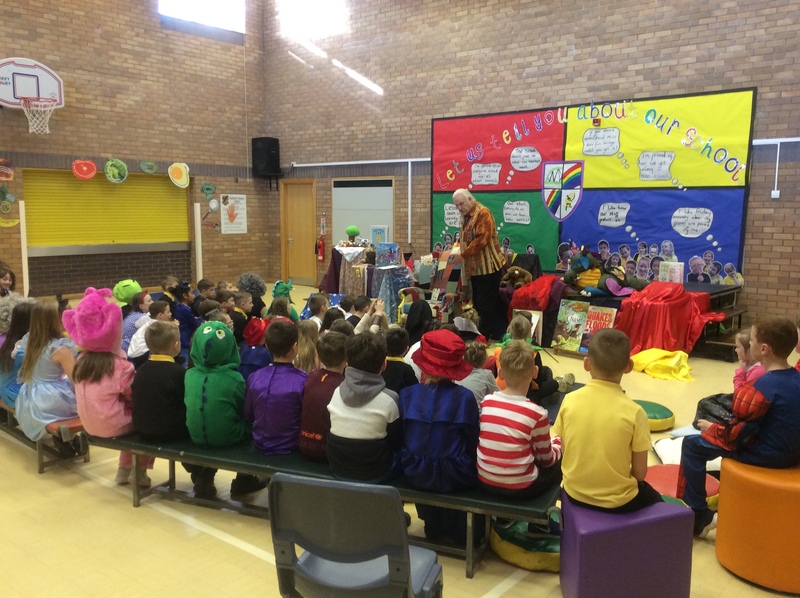 We hope you all enjoyed our class assembly this week. 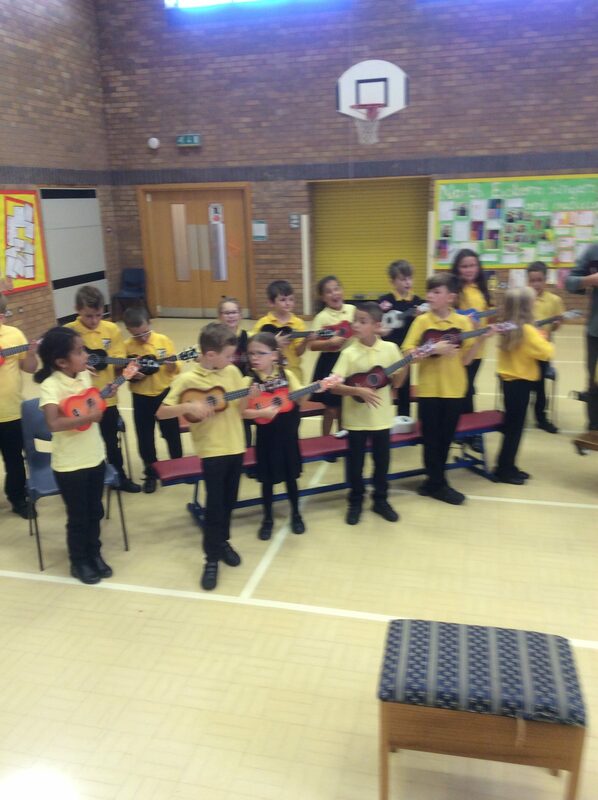 Year 4 definitely all enjoyed themselves and we are super proud of how well they all performed! Take a look a us on stage below. 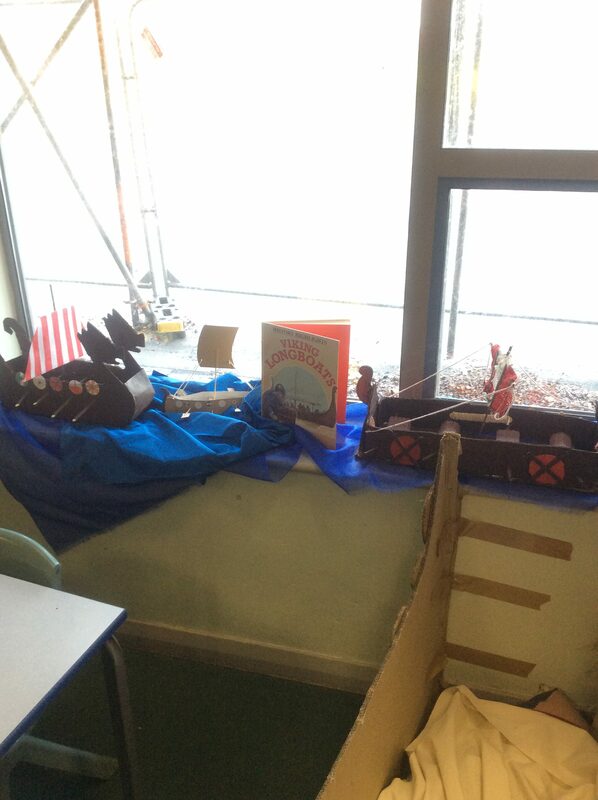 This week, it has been great to see some fantastic homework projects coming into school. Remember these are due in on Monday 28th January. In maths, we have been continuing our learning on multiplication. We have been learning to use a formal written method of multiplication so we can multiply two-digit and three-digit numbers by a one-digit number. In English, we have been continuing to focus on the features of an explanation text ready to write our next explanation of ‘How to look after a dragon’ next week. 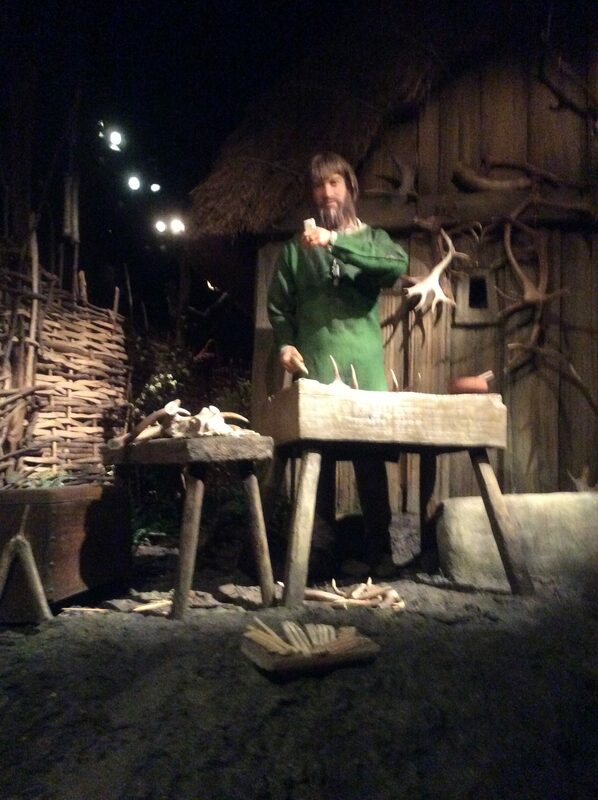 In topic, we have been learning about Viking family life and we now know what life would have been like for an average Viking child. We have had another busy week in Year 4! This week in maths, we have continued our learning on multiplication and division. We have been focusing on recalling our 7 and 9 times table facts, it is great to hear the children becoming faster at recalling these key facts. In English, we have been learning about explanation texts and the key features they include. We have wrote our own fantastic explanations explaining how to catch a dragon using our text ‘How to Train Your Dragon’ for our information. We have also been working hard to transform our classroom to reflect our Vikings topic, photographs to follow soon! Welcome back to the first part of Spring term! I hope you all had a lovely Christmas holiday and are looking forward to the next half term. 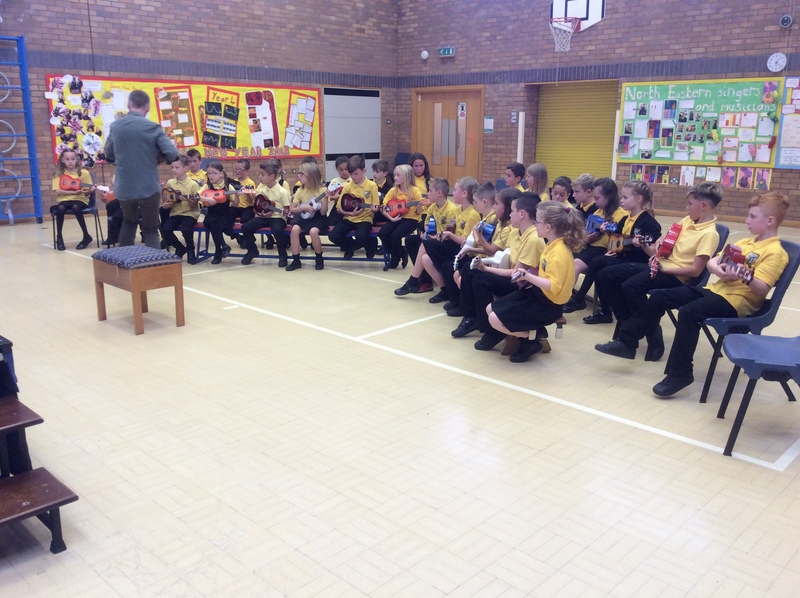 This term year 4 will be performing their class assembly on Wednesday 13th February, more details will follow later. 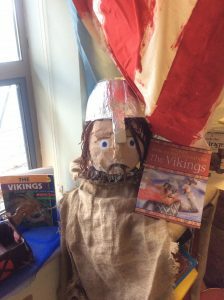 This week, we have began our learning in our new topic about the Vikings. We have started of by generating questions that we would like to answer during the topic and finding out where the Vikings came from and where they invaded and settled in the UK.This week in maths, we have been focusing on multiplication and division. We have learned how to multiply and divide by 10 and 100 and have began to focus on our times table facts. 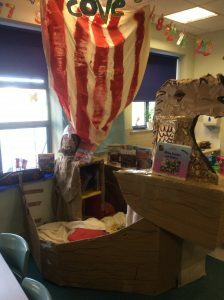 In English, we have been enjoying reading our new focus text ‘How to Train Your Dragon’ by Cressida Cowell. We have been exploring the characters and vocabulary within the text. 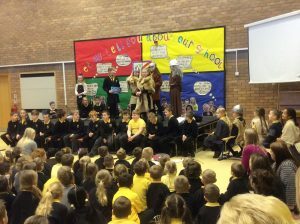 On Thursday, we also had a special visit from our attendance mascot in assembly as our 100% attendance certificates were handed out. 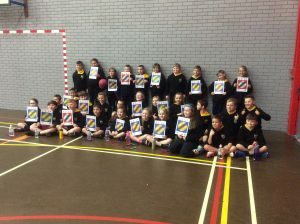 On Tuesday afternoon, we had a visit from Hoopstarz. 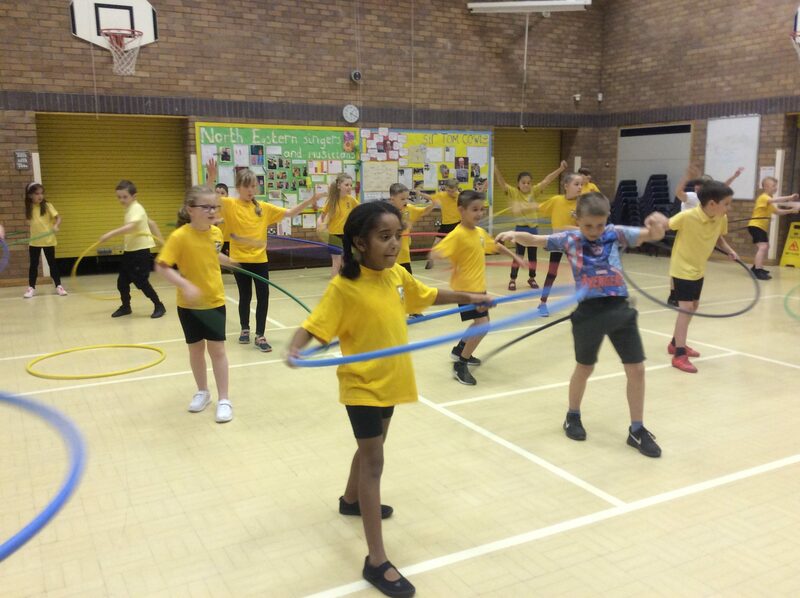 We all had a great time learning how to hula hoop and we were even shown how to do loads of different tricks! On Thursday, we had our school trip to the Blue Reef Aquarium. 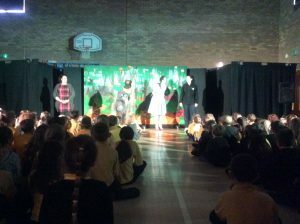 To begin our day, we took part in a workshop. We learned more about classifying different types of animals and we discussed how we would classify a star fish and a sea anemone. We even got them out of the tank to see them more closely! 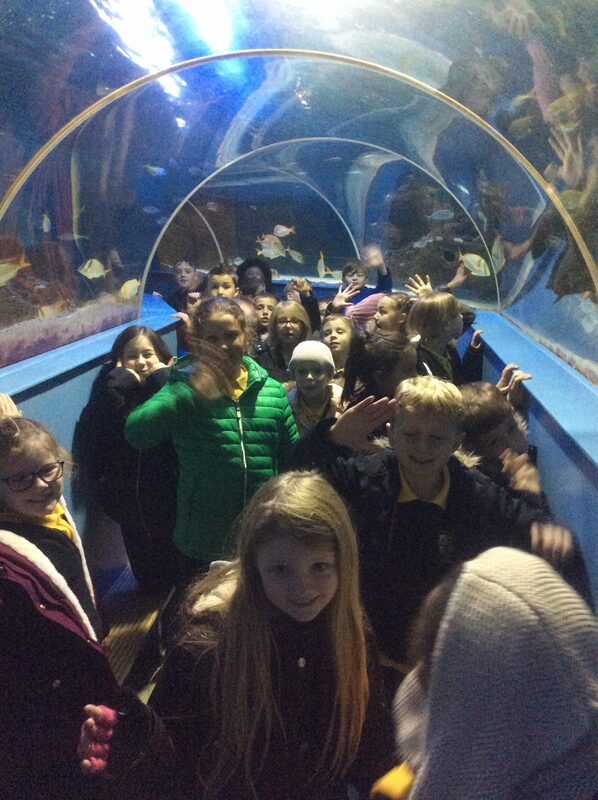 After that, we explored the rest of the aquarium and saw a wide range of sea creatures, reptiles and even monkeys! 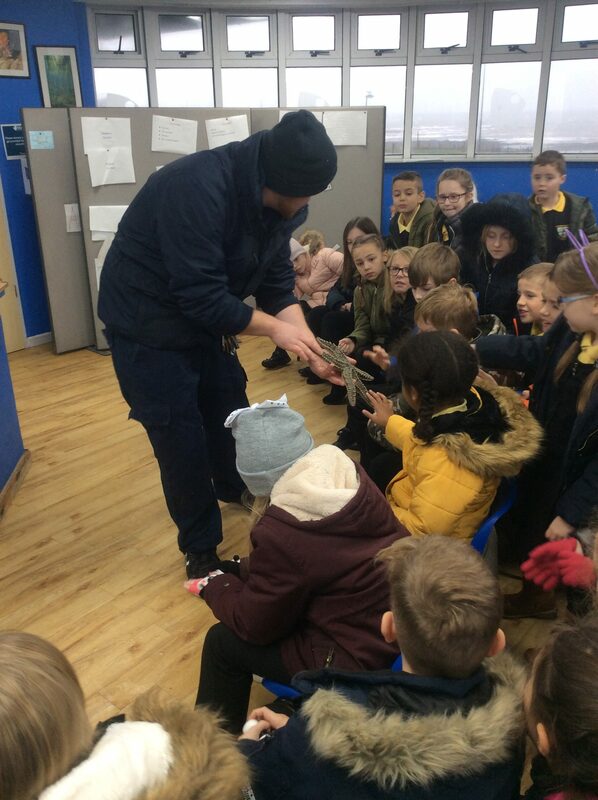 Despite the rain, we loved watching the seal show and some of us were even brave enough to go into the splash zone while the seals did their show! This week, we have also began to make our products for the Christmas Fair. We have made our own air drying clay and used this to create parts for our final products. The Christmas Fair will take place on Friday 30th November. 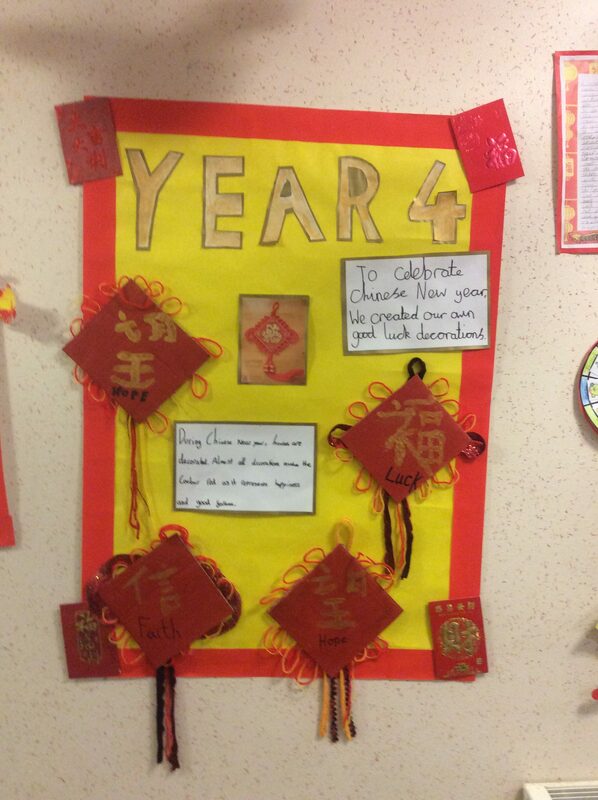 We have been very busy in school this week! On Tuesday, we all got to watch a pantomime in the school hall, we all really enjoyed the performance of ‘The Wizard of Oz’. On Wednesday, to mark Anti-Bullying week, we learned all about the different types of bullying and discussed what we could do in a range of scenarios to prevent and stop bullying. 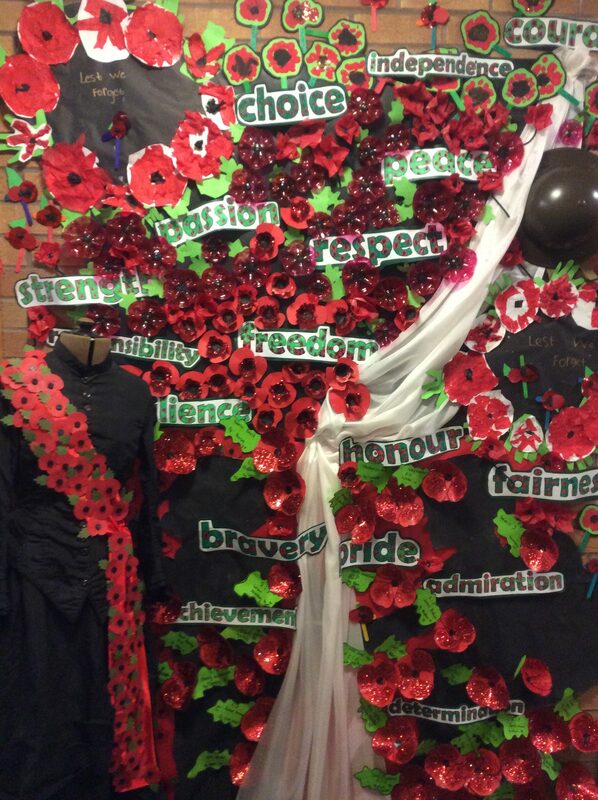 We also created our part of the whole school Anti-Bullying display. 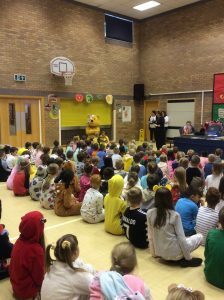 Today, we ended our week with a fundraising day for Children in Need and we came to school in our pyjamas. We even had a visit from Pudsey Bear in assembly! We have also wrote a fantastic persuasive letter in English and in maths we have continued to learn about perimeter. This week in maths, we have been learning to calculate the perimeter of rectangles and rectilinear shapes. We are able to work out the value of missing sides and use our addition skills to find the total perimeter of shapes. In English, we have been looking at persuasive writing. We have identified the key features of a persuasive letter and have been learning to use persuasive techniques such as rhetorical questions. On Friday, to commemorate Remembrance Day across school each child created a poppy which will be displayed in a whole school display. 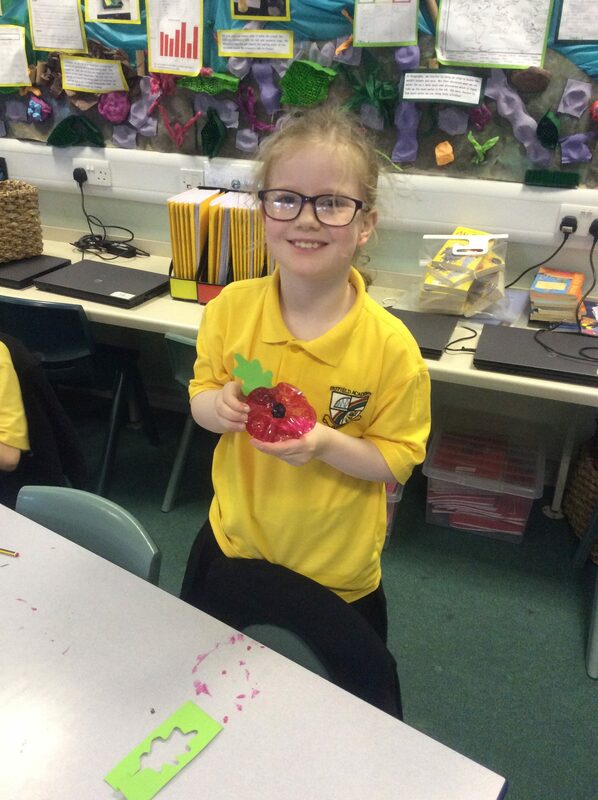 In Year 4, we created a poppy using the end of a plastic bottle and paint. 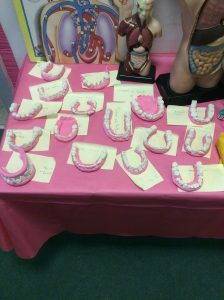 Take a look at our creations below. 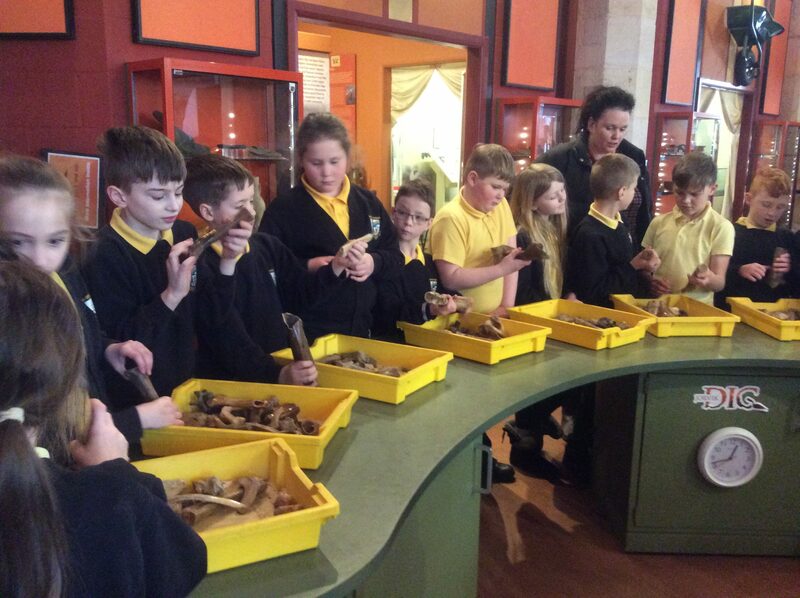 Welcome back to school, I hope you all had a lovely half term. 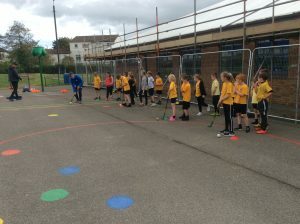 Year 4 have been working very hard this week. In English, we have began to read our new text ‘Twinkle, Twinkle Squiglet Pig’ and have been generating fantastic vocabulary to describe the fish in the text. In Maths, we have been learning to round numbers to the nearest 10, 100 and 1000 and have been applying these skills to problem solving tasks. We have also began to practice our skipping skills after a visit from Nick from the Skipping School as we prepare to take part in a Skipping Festival. Lots of Year 4 have been enjoying practicing the different skills during play times. 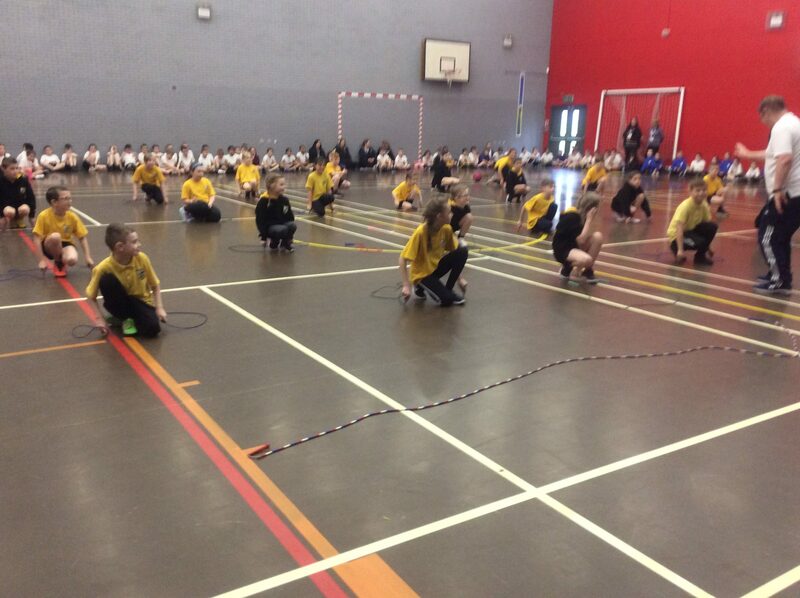 If children wish to purchase their own skipping rope, they are available to buy from school for £5. 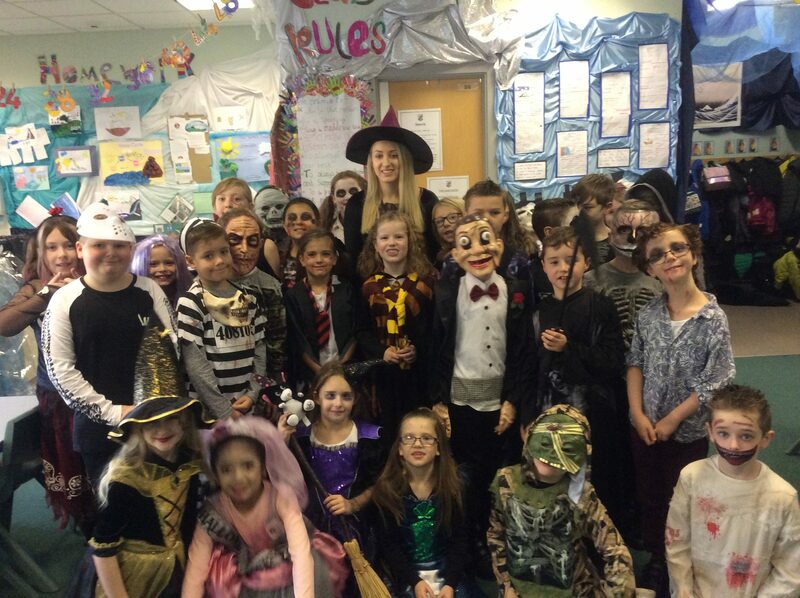 On Wednesday, we really enjoyed our spooky Halloween day! 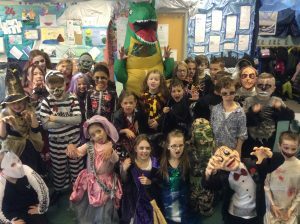 There were a lot of fantastic costumes and we had fun playing Halloween themed games in the hall. 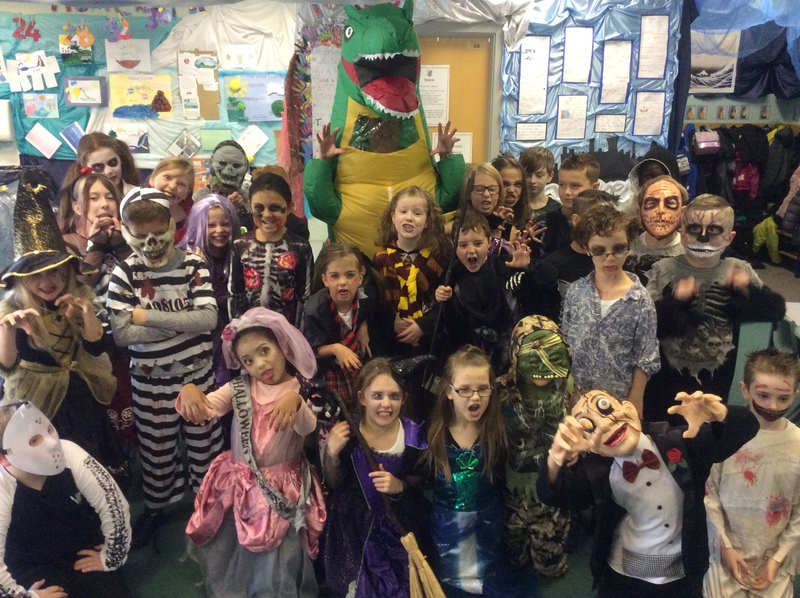 Take a look at our scary costumes below! 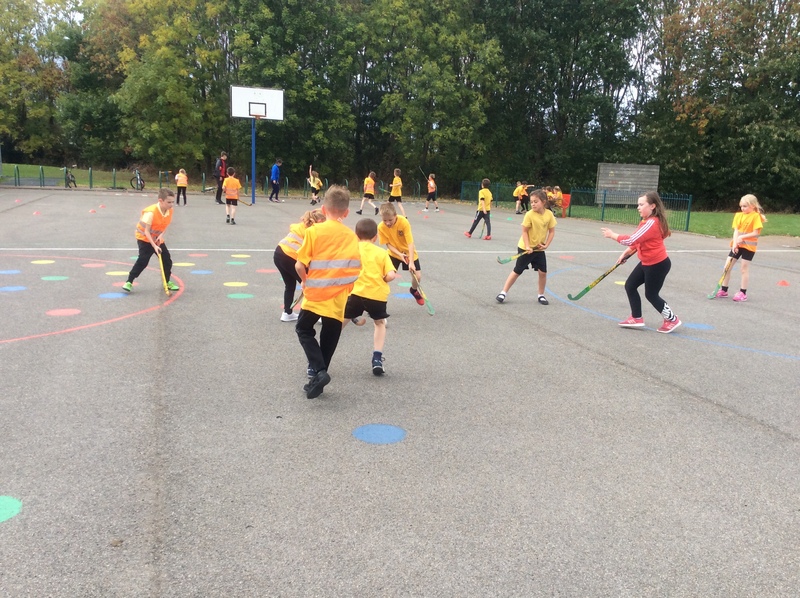 On Monday, Year 4 had their own hockey tournament. 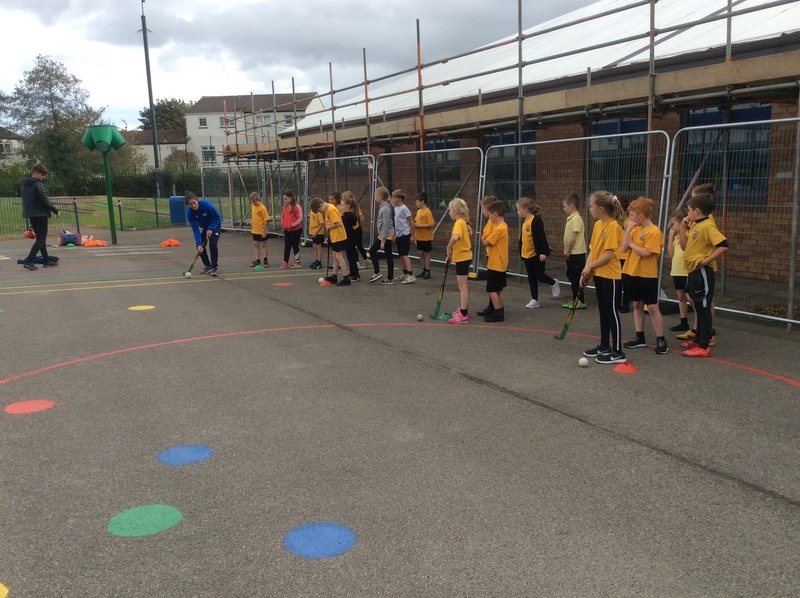 A PE teacher from Biddick came to help us to improve our hockey skills and we then played several games against each other. We all had a great afternoon. 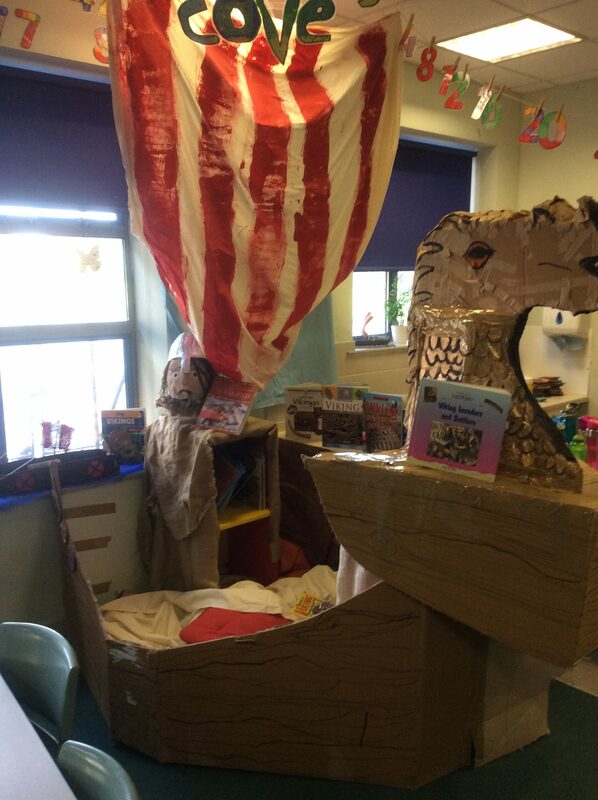 In English, we have been learning to write a narrative based on a video called ‘The Lighthouse’. We have included excellent fronted adverbials and descriptive vocabulary in our stories. In Maths, Year 4 have been learning to use the column method of subtraction to subtract two four digit numbers. In Geography, we have continued our focus on water and have been comparing the water usage and supply in the UK to Kenya. This week in Maths, Year 4 have been learning to use the column method of addition to add two four digit numbers. We have also been writing newspaper reports in English and in Geography we learned about the process water goes through to be cleaned before it comes out of our taps. 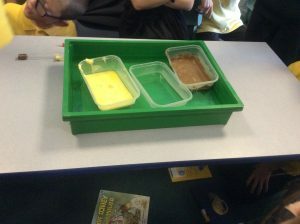 In Science, we have been exploring melting and freezing points of materials. We even got to make ice cream in our Science lesson without using a freezer! We had a sealed bag of strawberry milk which we then placed inside a bag of ice and salt. 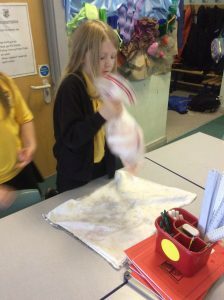 Then, we shook the bag for five minutes and we had created ice cream! 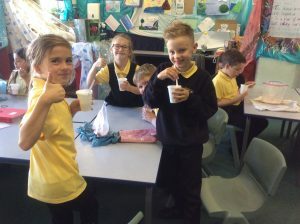 We discussed how the salt lowers the freezing point of ice which caused our milk mixture to freeze. Take a look at use making our ice cream below. This week in English, we have explored newspaper reports and their key features. We will be writing one of our own next week based on the ‘The River’ text we are continuing to read. In maths, we have been introduced to negative numbers. We have been learning to continue sequences counting backwards past zero and can identify which of two negative numbers is the largest. 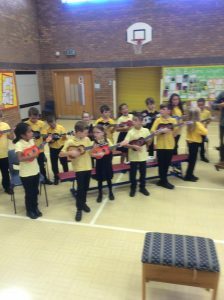 In music, Year Four have enjoyed learning to play the Ukulele with their music teacher, take a look at the pictures of us in action below. 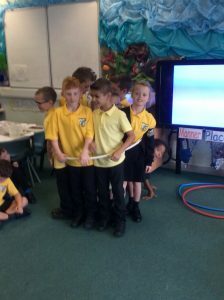 In Science, we have been learning all about states of matter. We have explored the properties of solids, liquids and gasses and we demonstrated their particle arrangement. We also carried out an experiment to discover whether all solids would melt at the same temperature, we got to melt chocolate, butter and ice. In Maths, we have been learning to count in multiples of 6, 7 and 25. In English we have been continuing to read our book ‘A River’ by Marc Martin and we have all been working very hard to write a diary entry. The core value this week was supportive and this was awarded to Isabella. The Head Teacher’s Award was awarded to Katie B for amazing effort when writing a diary entry in English. The mathlete of the week goes to Noah!